SKU: PW07-1300. 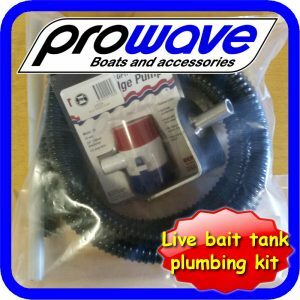 Categories: Bait board Bait tanks, Live bait tanks, Transom / Bulkhead mount, With live bait tank. 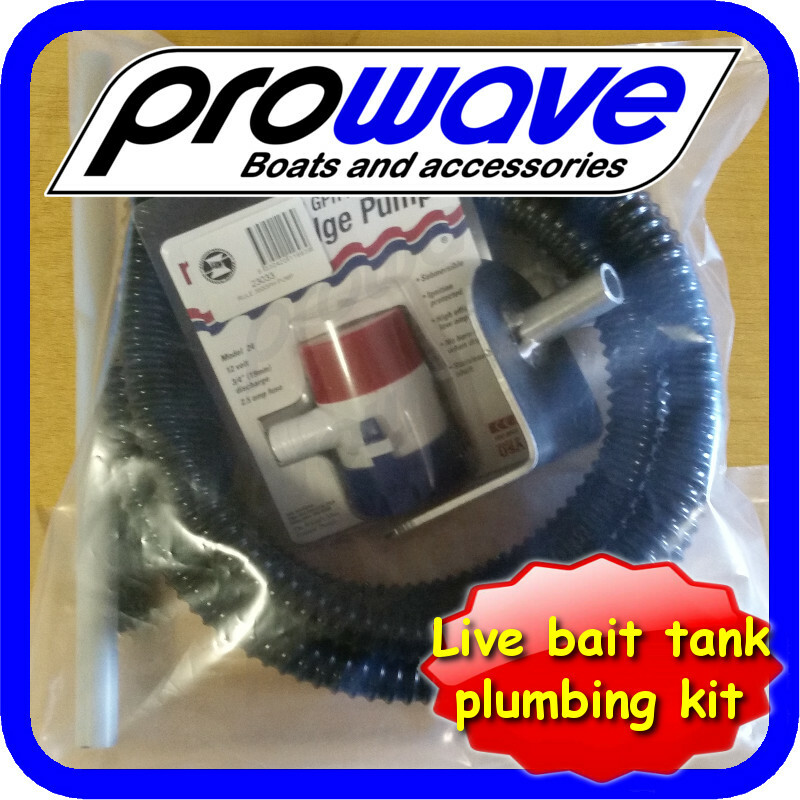 We have Live bait tank kits which have everything required to suit most live bait tank installations. This particular kit is suited for boats where you want to mount the pump on the outside of the transom. This Live bait tank kit is designed for tanks that are to be drained through the bottom of the tank. Bait tanks that need to be drained out the side of the tank such as floor mounted setups require a different kit which is available in our store. All packed into the tank bait board and wrapped extremely well with buble wrap. Would have liked some instructions on fitting the kit, service very good. Good Product works a treat with my live bait tank.